Hi and welcome to my Aron Nimzowitsch My System review. My system was written by Aron Nimzovich and originally published by Harcourt and Brace Co. in 1930. Aron Nimzovich was a very good and interesting chess player. He is probably the most influential chess writer of all times. He has influenced many grandmasters and his ideas are still correct to this day, almost 100 years later. First of all this book covers hundreds different ideas and chess subjects. You could say this book is a really good overview of a chess game hence it is a good guide for training. The book is divided in 3 main sections. The first chapter covers the main elements of chess. This includes, the center, development, open files, the 7th and 8th rank, the passed pawn, exchanging, end game strategy, pins, discovered checks and pawn chains. The second chapter is on positional play and also goes in great detail. This includes, positional play in the center, double pawns, isolated pawns, the two bishops, overprotection and weaknesses. Finally the third chapter includes 50 annotated games. All these subjects have multiple sub chapters and this book really goes into deep detail for each of them. The annotations for the games are very good and instructive as well. You can say that this book is really has a ton of information about the chess rules, tips and strategy. 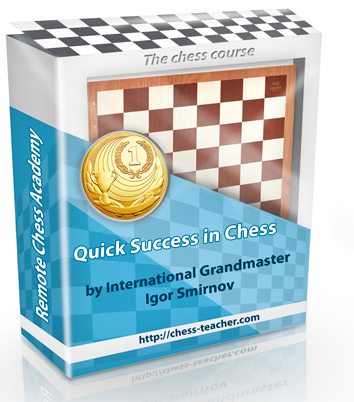 This is really a good system that can truly help you in your chess training in addition to your chess development. In conclusion, this book might be old but is still relevant today. Chess Classics came out with a new edition with new translations to fix mistakes in addition to adding even more chess diagrams. The information in this book is really exceptional and still quite relevant. This book is great for the beginner to intermediate players. This book has helped and inspired many Grandmasters from the past. You should definitely give this book a try. Thanks for reading and I hope you have enjoyed my Aron Nimzowitsch My System review.